Are you in the market for a new Dodge, Chrysler, Jeep, or Ram vehicle? If so, your local Dodge Chrysler Jeep Ram dealer near me is here to help you out! 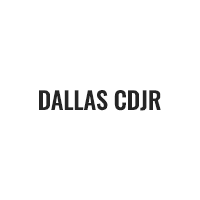 At your Dodge Chrysler Jeep Ram dealer near me Dallas TX, you’ll find a vast selection of new and used cars, plus financing, maintenance, and parts for Dallas, Garland, and Arlington drivers to take advantage of. 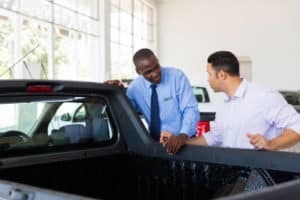 When it comes to service, your local Dodge Chrysler Jeep Ram car dealer near me excels by putting your needs and concerns at the forefront of everything we do here. Read on for an overview of our services and check out our Dodge Chrysler Jeep Ram dealer near me articles housed on this page for even more information! Whether you’re looking for a high-powered Dodge, an upscale Chrysler, an off-roading Jeep, or a towing-and-hauling Ram pickup, your local car dealer near me has something just for you in our showroom. There’s truly a ride for every purpose under the sun at our car dealership, and we’re excited to show you the full selection—including pre-owned models from even more brands. What will you do when you get behind the wheel of your next new car? Our service area articles will give you some suggestions. They’ll give you an overview of some of the most exciting things to do in your area, from shopping and eating to parks and outdoor recreation! At your local car dealer near me, we also offer wide-ranging financial services for shoppers looking for a car loan. No matter your credit history, we’ll work with you to find you the best possible terms and rates for your case. To get started, you can apply for financing online today! After you’ve driven off the lot in your new ride, you’ll want to care of it properly, so it continues to run at its best for years to come. For that, the certified technicians at our service center are here to help. They can perform your next oil change, brake repair, or tire rotation with speed and accuracy, so you can get back out on the road, sooner. Are you ready to learn more? Then, click on the service area article centered on your town or city, whether it’s Dallas, Garland, Arlington, or another community entirely. You’ll learn more about how your car dealer nea r me tailors its services to folks in your area. When you’re ready, contact us to stop in for a visit!